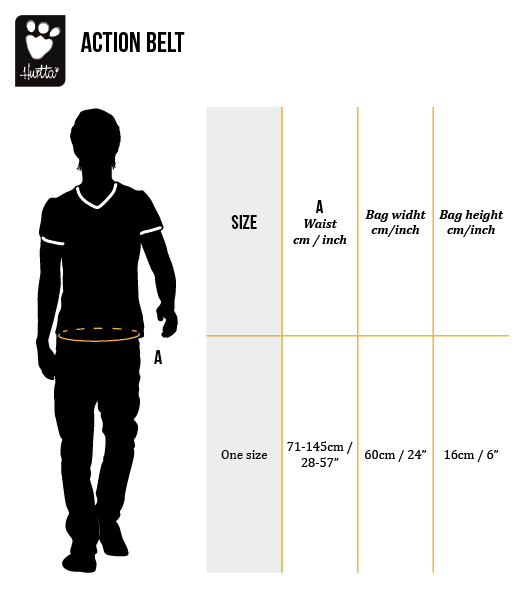 The Action belt is designed for walking and running with your dog. The belt bag has two zipper pockets for keys, a mobile phone and waste bags, and the front pocket includes a detachable bag for sticky treats. The belt also has a place for a water bottle with a capacity of approximately 7.5 dl.